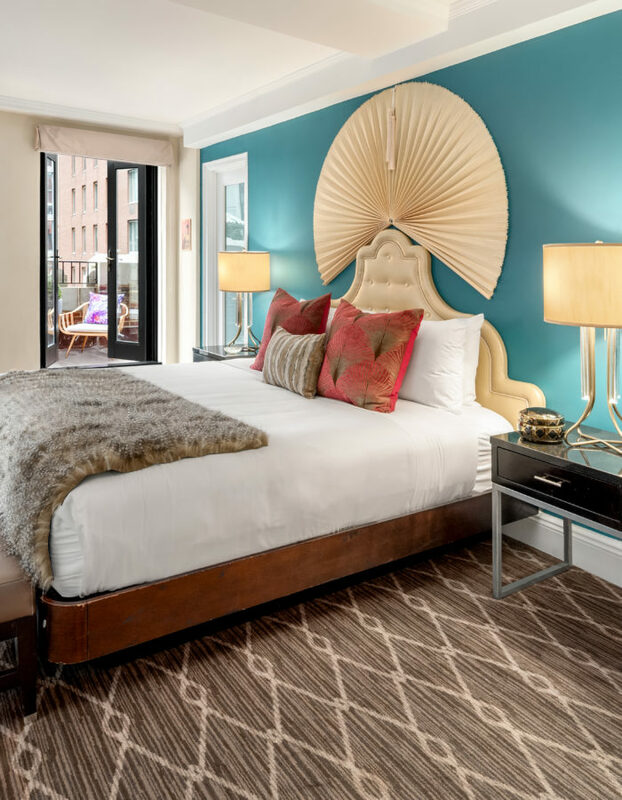 The Lexington Hotel, Autograph Collection, in New York has completed a makeover of its collection of five distinctive specialty suites, designed to offer guests an authentic experience rooted in the hotel’s rich history. 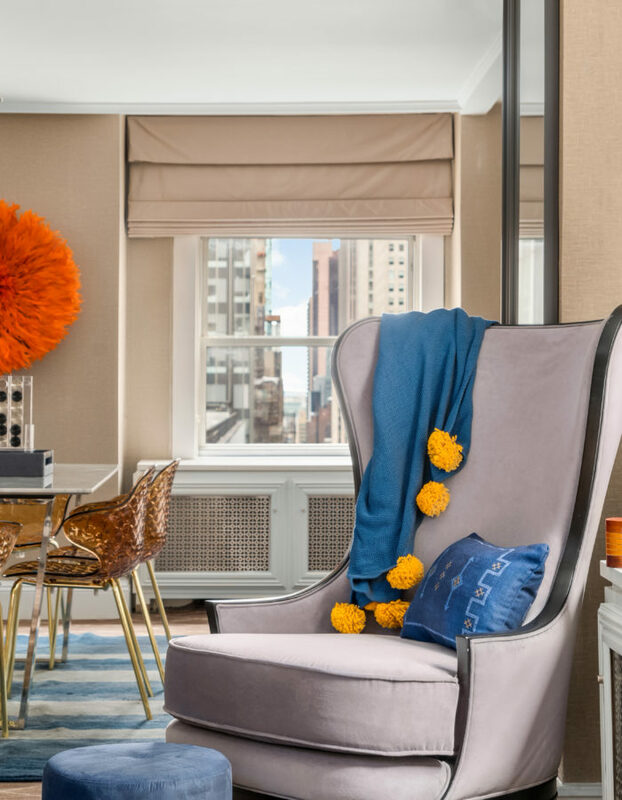 The suites, redesigned by interior design firm Fringe, pay homage to the hotel’s past and the iconic personalities who visited the Lexington throughout the years. 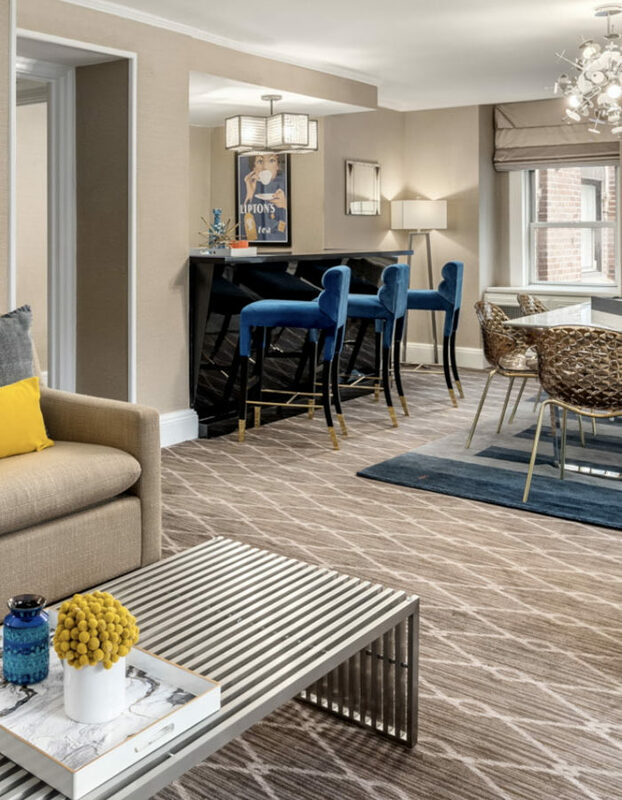 These specialty suite renovations come on the heels of the unveiling of the Norma Jeane Suite in June, the former residence of Marilyn Monroe and Yankees legend Joe DiMaggio. 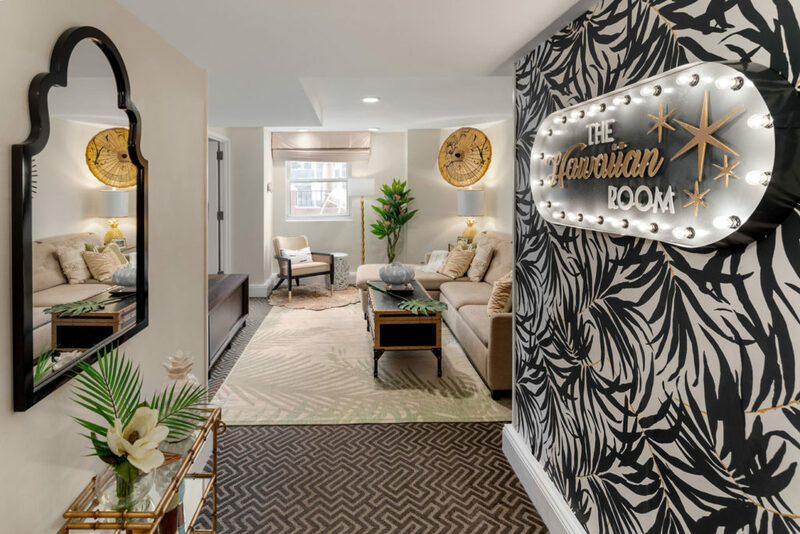 Once known as The Centerfield Suite, the re-imagined Norma Jeane Suite pays homage to the Hollywood bombshell throughout and offers luxurious 600-sq.-ft. accommodations with a spacious living room, bedroom and dining area that lead out to a 200-sq.-ft. private terrace. The Queen of Jazz, Ella Fitzgerald, inspired the glam and soulful design of the Lady Ella Suite. The Lexington Hotel was built during the Golden Age of Jazz in New York City, when Fitzgerald made her debut at the Apollo Theater in Harlem. The Lady Ella Suite honors her career and cultural impact by creating a harmonious juxtaposition between her glamorous persona and her humble musical beginnings on the streets of New York. The 900-sq. ft. two-bedroom suite with private terrace offers guests the largest accommodations at The Lexington Hotel. 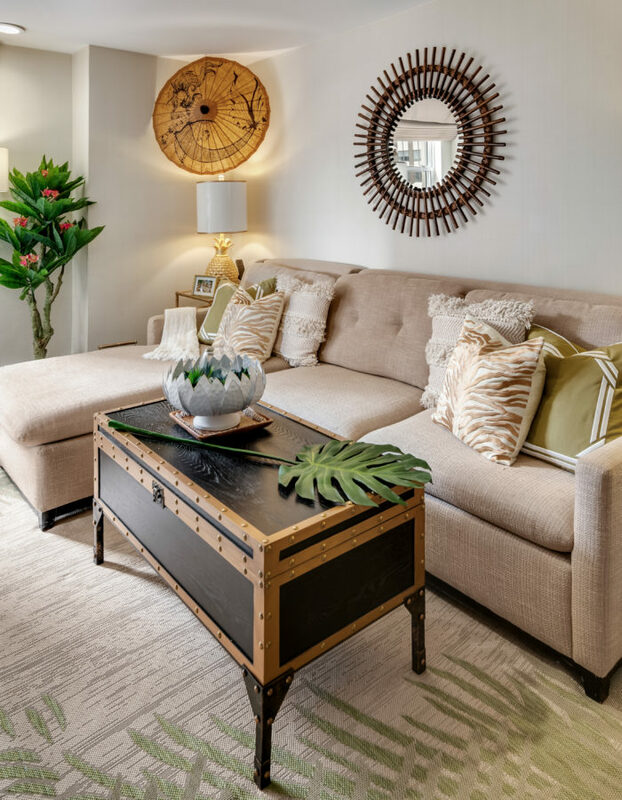 Stepping into the suite, guests will feel an overall jazz-themed ambiance, with features such as an elegant living room with art deco scalloped wallpaper, authentic Ella Fitzgerald album cover art, and custom feather-motif shimmery throw pillows. Paying tribute to the legendary radio and television host, Arthur Godfrey, The Arthur Godfrey Suite is larger than life, like its namesake, and offers an authentic look into the legacy he left behind. A retro bar and full dining room with lounge make this space perfect for hosting a cocktail party or family dinner alike. The suite’s master bedroom decor is a nod to his time in the Air Force and induction in the Aviation Hall of Fame. Some notable items in the room include Vintage Brutalist blown-glass barware, luxe custom velvet barstools, marble and chrome dining table, authentic vintage Arthur Godfrey memorabilia, including several of his recordings and a custom “on air” sign. The Hawaiian Room, an entertainment venue at The Lexington Hotel from 1937-1966, was a tropical escape in the heart of New York City. Hundreds of dancers, singers and musicians were recruited from The Big Island to share their native Hawaiian culture, while guests enjoyed coconut cocktails and a chef-prepared Polynesian Luau. It was a beloved fixture at The Lexington Hotel for almost 30 years and now it will be honored with Polynesian-inspired design. Vintage barware of the era, including Tiki glasses and cocktail umbrellas, grace the room accompanied by an authentic gourd drum and conch shell horn. The Hawaiian Room also includes a unique Hula girl statue made from lava rock and Vintage woven palm leaf fans. Inspired by the life and works of Ernest Hemingway, the one-bedroom Hemingway Suite is a nod to the Nobel and Pulitzer Prize-winning American novelist with a propensity for adventure. The Hemingway suite channels his essence to create a space he would have enjoyed writing in with a large mahogany desk, tropical motifs and a terrace escape. 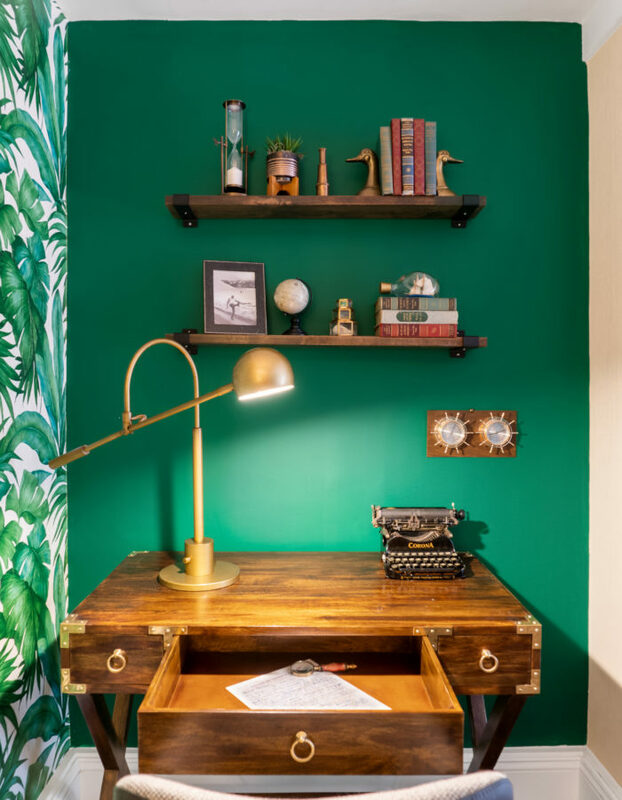 Outfitted in a palm green, hemp and walnut space, The Hemingway Suite has two private terraces, a collection of his novels, tropical banana leaf Versace wallpaper, vintage typewriter, Panama hat, collection of vintage suitcases, Cuban cigar box and a mini bar with his preferred beverages. The Conservatory is a one-of-a-kind suite with a glass-enclosed living room. 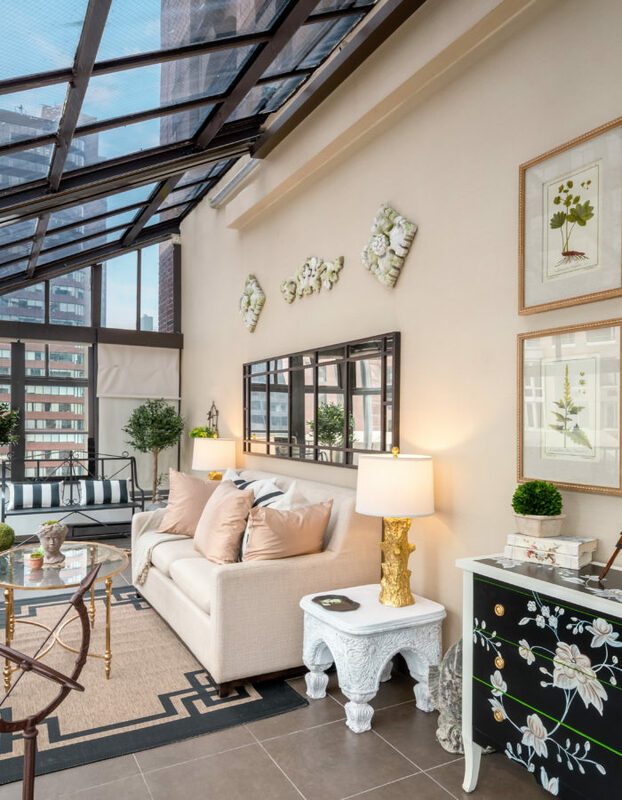 Offering a 385 sq.-ft. bedroom and 200-sq.-ft. living room, this specialty suite is designed for watching the sun set over the Manhattan skyline from within your secret garden. Originally conceptualized by Schultze & Weaver when The Lexington Hotel was built in 1929, The Conservatory Suite commemorates the historic architectural heritage of the hotel by celebrating the style of living space popular during its inception. Notable upgrades to the suite include hand-carved tropical hardwood bed in floral lotus theme, set of Antique Illustrated Dictionary of Gardening from the late 1800s, hanging English Zinc Chandelier with candles and moss, topiary trees, custom artwork made of preserved Queen Anne’s lace flowers pressed in glass and more bespoke treasures.